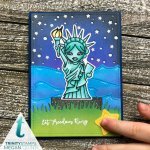 Lady Liberty is a 3x4 inch stamp set with 8 separate images. 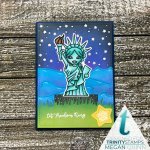 This adorable Statue of Liberty is great for card making, scrapbooking. 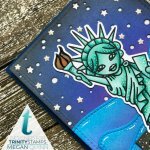 Mixed media, festive decorations, and more. 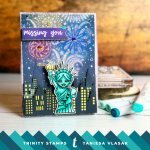 The set includes 4 different sentiments and 3 star accent images. Coordinating die set is available. 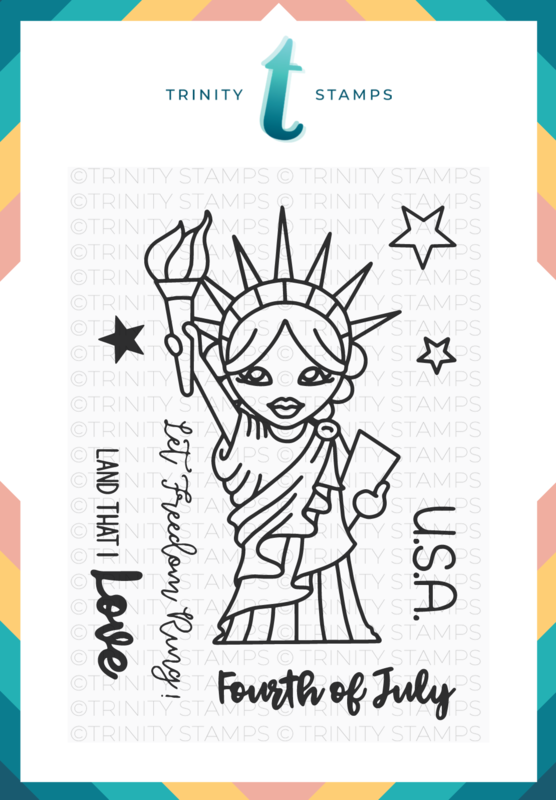 Click HERE to see our "Lady Liberty" die set.